Our Lighting and Energy Solution Specialists have the knowledge to deliver sustainable, fully integrated solutions that are cost effective and aesthetically pleasing. With continuous training from our industry-leading manufacturers, our specialists understand the latest trends and benefits of LED lighting, enabling them to provide you a customized solution for your application. View the LED Lighting for Industrial Facilities catalog today. 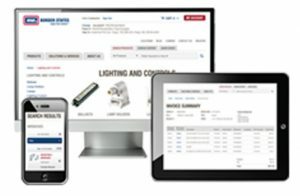 As always, Border States provides LED lighting and other industry information in its weekly blog recap newsletter. Sign up today to receive the latest information about LED lighting. Border States is also here to help if you have any questions about lighting technology, controls or best practices for LED lighting projects. Schedule a free consultation to learn more about lighting audits or how controls could save your facility some cash.